Do you need extra help for EL students? Try the Information from Multiple Sources pre-lesson. 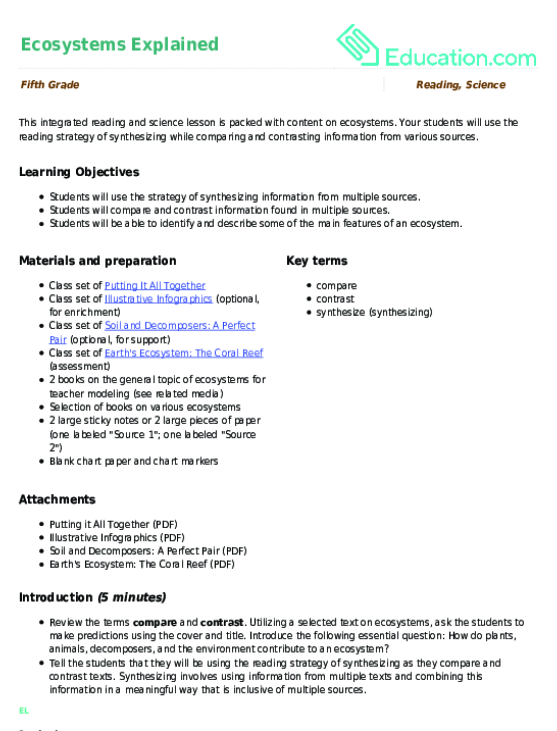 Students will use the strategy of synthesizing information from multiple sources. Students will compare and contrast information found in multiple sources. Students will be able to identify and describe some of the main features of an ecosystem. Review the terms compare and contrast. Utilizing a selected text on ecosystems, ask the students to make predictions using the cover and title. Introduce the following essential question: How do plants, animals, decomposers, and the environment contribute to an ecosystem? Tell the students that they will be using the reading strategy of synthesizing as they compare and contrast texts. Synthesizing involves using information from multiple texts and combining this information in a meaningful way that is inclusive of multiple sources. 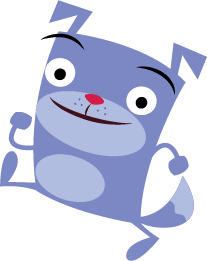 Compare and contrast a familiar topic and allow them to recount the comparisons in their home language (L1) or new language (L2). Provide visuals of the vocabulary words in the essential question and post them near the written question. Have ELs tell the definition of "compare" and "contrast" in partners in their L1 or L2. Give them a social example of synthesizing. For example, when students talk about the same event with two different people, the details one person focuses on may be slightly different from the other person. Begin with the broad topic of ecosystems and use two books of choice on ecosystems. Tell the students that you will be using two texts to answer the question, "What is an ecosystem?" Using large sticky notes or pieces of blank paper taped to the board, demonstrate the process of selecting details from both sources that can be used to answer the question. Model the process of synthesizing—combining the details from both texts in contrast and comparison to take notes and write an explanation. Choose a book that has a lot of illustrations and allow ELs to tell you what they notice and think about the ecosystems as they gather background information. Provide a text or book with highlighted information that ELs can use to follow along with your instruction. 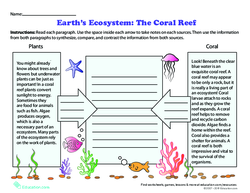 Ask ELs to take notes on a copy of the text or book you use to gather information about the ecosystem. Provide key terms with visuals to assist in their identification of details about ecosystems. Tell the students that you will now be progressing to the various parts of an ecosystem, including the plants, animals, decomposers, and environment that are all a part of the ecosystem. Divide students into small groups so that there are three or four students in each group. Using selected books on components of an ecosystem, distribute one topic, one book, and one piece of paper to each group. Ask the students to look for details in the text that can answer the essential question, "How do plants, animals, decomposers, and the environment contribute to an ecosystem?" Tell the students to record their details on their piece of paper, being careful to use their own words or selected words or phrases. After students have had 10 minutes to work, invite students to share the details that they found. Invite students to participate in creating a written description and visual to represent that information. Give ELs phrases and pictures they can use to talk about the ecosystem details. Strategically group ELs with sympathetic partners or partners that speak the same L1. Provide a shorter text for ELs and visuals for the key vocabulary terms. Have sympathetic partners read the text aloud while the ELs follow along. Give ELs a paragraph frame and key terms or phrases for the written description. Allow ELs to practice their responses before sharing with the class. Provide sentence starters for the description of the topic. Tell the students that they will now be working on specific ecosystems, learning about the specific ways plants, animals, decomposers, and the environment contribute to the ecosystem. Remind the students to compare and contrast texts, synthesizing information from both texts that they receive. 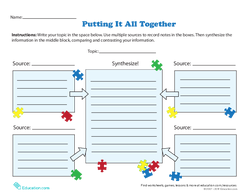 Distribute selected texts and the Putting It All Together worksheet. Ask students to work on locating details from each text, synthesizing the information by making contrasts and comparisons. Allow them to work in a teacher-led group where you read the text and ask comprehension questions about the topic. Have ELs provide their answers orally before writing key information in their L2 using provided key phrases. Have students work with partners to complete the worksheet. Have ELs explain their answers in the worksheet in their L1 or L2. For students who read at a lower level, consider using leveled books or articles that are written at their specific reading level. 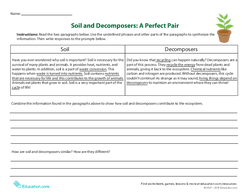 Have students complete an alternative assignment, Soil and Decomposers: A Perfect Pair, which includes key phrases that students can use to synthesize the information. 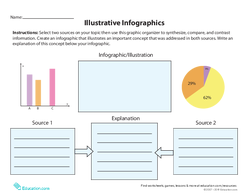 Using the Illustrative Infographics worksheet, have the students use two of their sources to create a diagram, infographic, or illustration that represents the concepts they synthesized. For the enrichment component, have the students create a digital infographic that represents their information. Have students create a flowchart using Google drawings that represents their information. 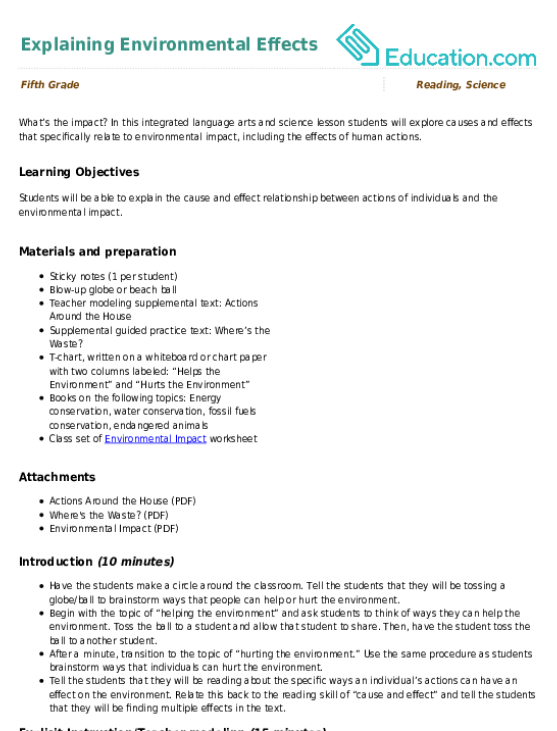 Have students complete the Earth's Ecosystems worksheet in which they synthesize information from both passages, comparing and contrasting sources. Provide a scaffolded worksheet where there are clozes for students to fill in the blanks. Give them a word bank if necessary. Provide students with sentence frames and sentence stems that highlight comparative sentences. Ask students to place their completed graphic organizers on their desk. Invite all students to participate in a "gallery walk" to look at other students' work and observe what they noticed and found. Ask ELs to look for specific information during the gallery walk and have them share what they learned in their L1 or L2. Have ELs summarize what they learned from their gallery walk in their L1 or L2. Ask ELs to evaluate their success in the lesson by listing one success and one challenge through the lesson. This integrated reading and science lesson is packed with content on ecosystems.